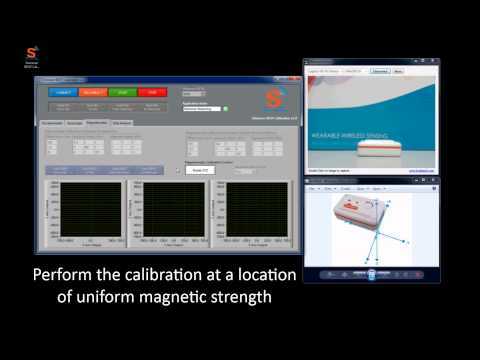 The Shimmer 9DOF Calibration Application v2.10 provides an automated procedure for calculating the calibration parameters for Shimmer’s integrated tri-axial accelerometer, and the 9DoF module’s Gyro and Magnetometer sensors. The calibration parameters can be stored to the Shimmer memory and recalled by other applications to provide calibrated sensor data. A Shimmer 3 or Shimmer 2r paired with the users PC. The user should also know which Com Port is associated with the Shimmer to be calibrated. The Shimmer 9DOF Calibration Application v2.10 installation package is available to download(** Available to registered website members only). persists go to step 2. Check out our 'Shimmer3 Getting Started Video' (Shimmer3) Also refer to the corresponding section in the User Manual. Make sure to perform each step of the calibration and make sure you are using the latest version of the LogAndStream firmware and 9DoF Calibration Application.